New students who join as regular members are encouraged to attend our Aikido for Beginners Class as if possible. (Fee is waived if you join a regular member paying the monthly dues). In Aikido, there are both physical and mental aspects of training. The physical training in aikido is diverse, covering both general physical fitness and conditioning, as well as specific techniques. 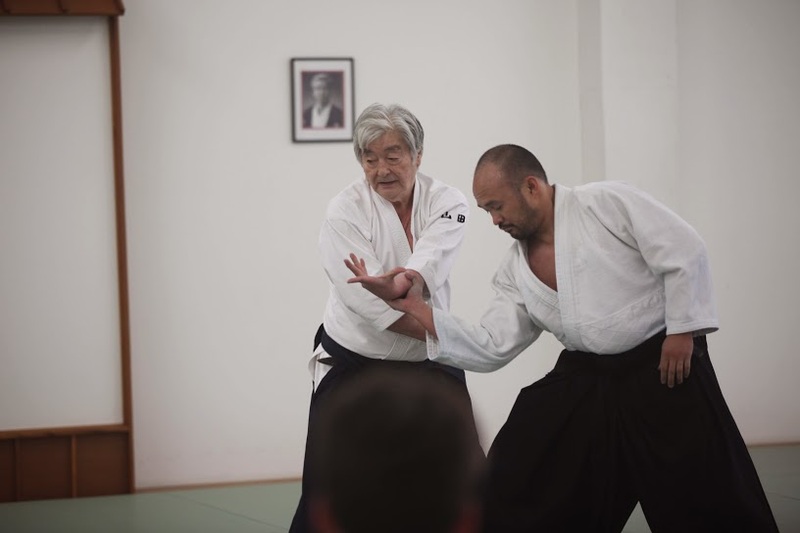 Because a substantial portion of any aikido curriculum consists of throws, the first thing most students learn is how to safely fall or roll (ukemi). The specific techniques for attack include both strikes and grabs; the techniques for defense consist of throws and pins. After basic techniques are learned, students study freestyle defense against multiple opponents, and techniques with weapons. Aikido students undergo periodic tests to provide a measure of their skill development and to foster their progression in Aikido. Testing frequency is determined primarily by a prescribed number of practice hours, as well as recommendation by the chief instructor. Iaido practices smooth, controlled movements of drawing the sword from its scabbard (saya), striking or cutting an opponent, removing blood from the blade, and then replacing the sword in the scabbard. While new practitioners of Iaido may start learning with a bokken, they eventually are expected to use a blunt-edged sword (iaito). Upon progression as recommended by the instructor, Iaido practitioners can use a sharp edged sword (shinken). For reference only. These should only be practiced in the presence of a certified Aikido instructor.